Followers of our blog and web site may be aware we suffered a site hack on Boxing Day. We awoke to find our entire web site had become a billboard for Aleppo. I was unable to re-instate anything, although I was able to salvage much of the main pages text. The Holiday period is NOT a good time to find Tech support, and so it wasn’t until early January that we recovered control of the site. So since then I’ve been busy rebuilding the main pages, and of course this is our busy season with lots of guests and tours. But I’ve now got much of what we need up and running, and can now think about our blog. Sadly all my old posts are possibly unrecoverable, although fingers crossed I may be able to do some sort of recovery in the winter when I have time. I’ve made a few changes in the way the site is put together, and hopefully this will result in faster load times, and better viewing. 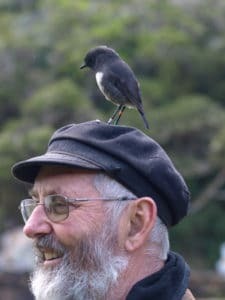 Thank you all for your patience and I hope our future blogging will renew your access and enjoyment of Stewart Island.